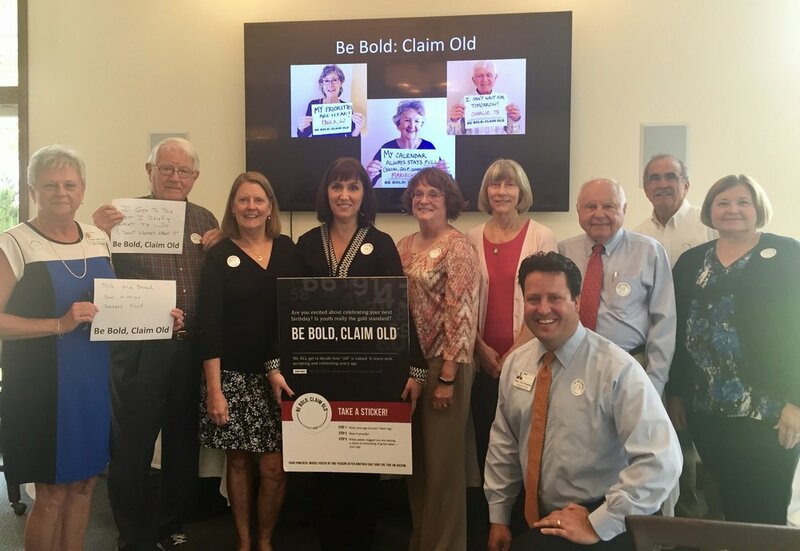 Carolina Meadows in Chapel Hill, North Carolina was the first organization to implement the Be Bold, Claim Old initiative. The project fit well with the organizations' desire to have an inclusive culture where every age and ability are welcomed. The initiative began with a facilitated dialogue amongst Board members and grew into projects engaging residents, staff and family members. The initiative included an interactive and intergenerational public art project titled "Celebrating the Gifts of Every Age" in which all were invited to celebrate their age and share what they enjoy about their age. 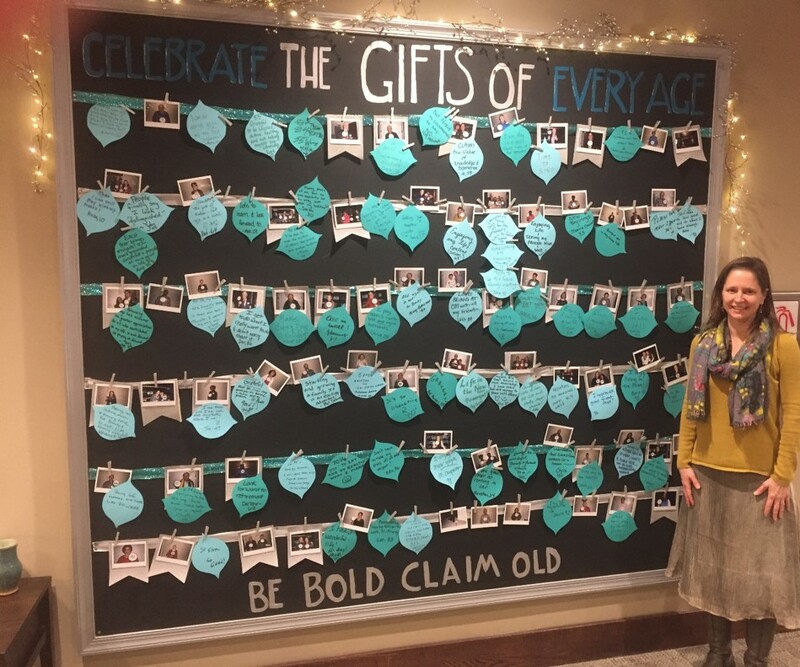 The interactive public art project invited residents, staff and family members to take a photo claiming their age and to identify a gift of their current age. The exhibit launched Dec. 2017 and was up for three months. Be Bold, Claim Old: These four purposeful words relate the message that youth does not have to be our gold standard. What better place to raise awareness and begin a discussion on ageism and ableism then within our own communities - - residents, staff and board members. Learn about one communities’ experience implementing Be Bold, Claim Old, learn about tools to help you begin discussions on ageism and share what your community is doing to create an inclusive culture where every age and ability is celebrated.